Well, as I write this I do without mincing words nor do I know Miss. Linda Personally nor has she paid me or anything alike, feel free to choose whatever you deem fit to believe. Dear Timigate, reading your post all I could visualize is a dude screaming, and the cause? Chronic jealousy, well who knows? I am just human, I may be wrong after all. I will keep this what it is, in a pair, 5 reasons to each, first is to show the pure attack your post protrudes rather than constructive criticism. Yes, Timigate, it is slow, and it is NEW! For Heaven's sake the site is just a few days old Mr. What do you expect? A baby flash? With time being a smart lady she has proved herself to be, the site will eventually grow to get better optimized from user feedbacks and other prior observations. 'Oga I no com understand you again o...' so being that she's no programmer she has no right to owning a social network but is okay she's a blogger? You said why would any want to trust her with a sensitive information because the system was set up by a third party? The way you put it, it's like it would have been okay if she built it herself, and you have a problem with your info being safe? I don't intend to beat at bushes with stick on this but wait, you'd have been comfortable with it if the "gossip" as many refer to her as built it? Hmmm, like you unaware Facebook is racking in millions daily of your sensitive information. 3• Followership and Advertisement money. Guy, watch out, you will pay for the MB yourself, yes, that which you will in months to come to surf profiles of personalities with hundreds of thousands of followership. And please kindly let my bank account have a feel of part of the money FB has been paying you for throwing adverts in your face. - Did you bake the cake? - Anyone forcing you to risk your life? - Sorry o but you are confusing me, are there not many people online already doing that for free? Even on WhatsApp groups? 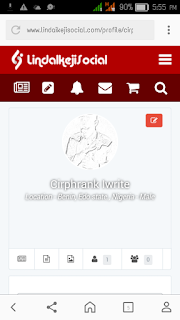 Get the Admin's or Linda contact email and send in innovative ideas, simple. Help for once. 1. 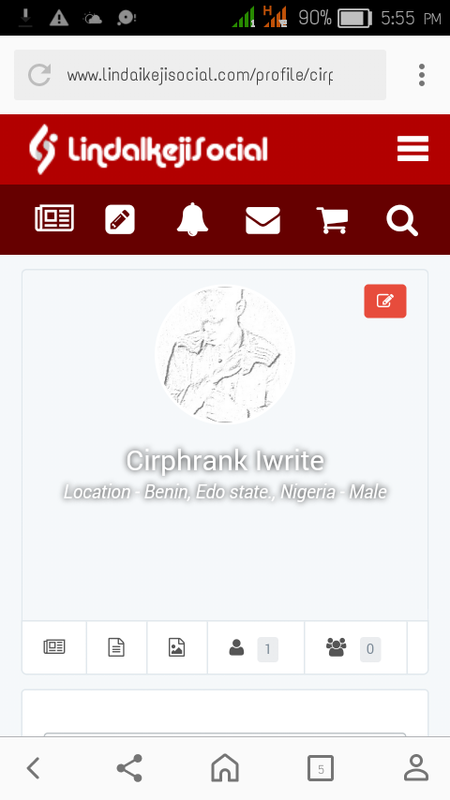 Register on Linda Ikeji Social, support your own. 2. Yes, last time I checked registration page has bugs but Facebook login/sign up works pretty fine, use that for the meantime, it's safe, no auto-posting with your profile. I believe the error is a logical one, logical errors can't be detected easily until after prior use and I am sure if Mr. Timi knows about web developing, he will understand that. 3. Get your reputation on the site now while it's still easy to, would prove useful in the long run, I need not explain how well a good audience can generate revenue for you. 4. This is new, in Nigeria, this is not Nairaland, no other Nigerian has come up with this, not on this large scale. Be in the new. 5. This, if she doesn't yield to negativity, will end up a huge success, SHE HAS ALL THAT IS NECESSARY TO MAKE IT ONE. Question is, don't you think it will be rather awkward to slide when you can effortlessly be part of a success story?. There's something we lacking mostly nowadays, sane LOVE. The sky is of enough width for a million planes fly if they will with no hatred for another, you do yourself a great help when you help others. Let's get to it dear, Linda Ikeji Social awaits. Our very own. It will improve and if it doesn't we'll criticize constructively and then it will eventually. Thank you.